Is Palin the Rev. Jackson of the GOP? 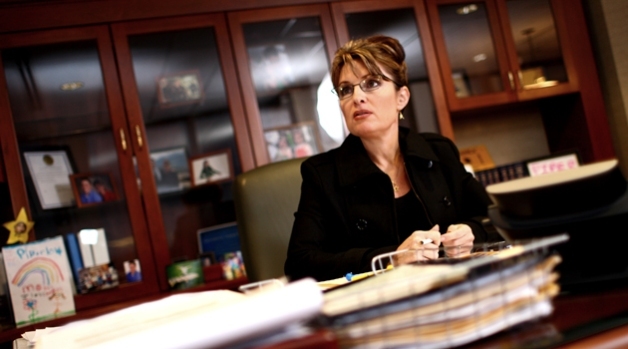 Republicans have a big problem coming up: Sarah Palin. How can a telegenic woman with a fervent following in the party, fundraising skills and a greater ability to fire up a Republican audience than any other GOP politician be such a liability? It’s not just because she’s unelectable as a presidential candidate. Many leading Republicans and Democrats are, for one reason or another. 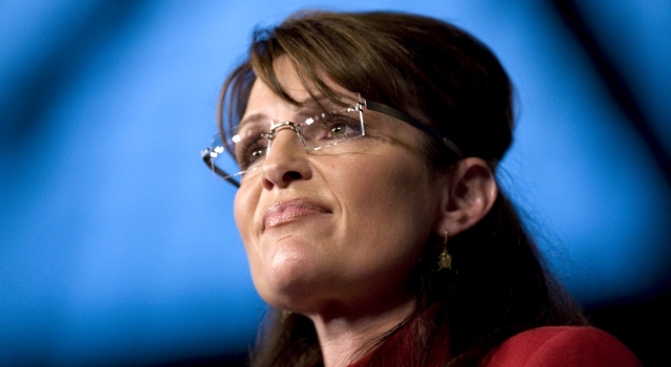 The problem is, Palin doesn’t know she’s unelectable, and neither do her followers. If she and her Palinistas have to find out this hard truth on the 2012 primary campaign trail, it will be bad news for the GOP. It’s precisely what Democrats went through from 1983 to 1992, when the specter of Jesse Jackson hung over the presidential hopes of the party. Like Palin, Jesse Jackson was the best crowd rouser in his party. No Democrat until Bill Clinton, with the possible exception of Mario Cuomo on his best night, could compete rhetorically with Jackson. Lack of political experience wasn’t Jackson’s only barrier to the Oval Office. He’d embraced Fidel Castro in Havana and shouted “Viva Fidel!” He’d also kissed Yasser Arafat and said some explosive things over the years about Jews and Israel. On top of all that, Jackson has still never explained his multiple stories about what happened the day Martin Luther King Jr. was shot. And his organizations always seemed to run into tax and financial problems that the media would investigate with glee. Those things didn’t come up much in the Democratic primaries of ’84 and ’88 because every white Democrat in the race knew that to attack Jackson head-on risked losing the black vote. It was impossible for a white politician to say what then-D.C. Mayor Marion Barry articulated, rather cruelly: Jackson had never run anything but his mouth. For the same reason, if Palin chooses to run in 2012, no Republican will be able to go negative on her without losing the right-wing Christian populists who flocked to her rallies in 2008. Palin’s background isn’t nearly as problematic as Jackson’s, and she has, of course, been elected to public office. But Palin was widely perceived to be deficient in knowledge of national and international politics. Her inability to appear even minimally competent made her one of the rare vice presidential nominees to damage the ticket in November. As I said during the campaign, John McCain’s most effective attack on Barack Obama was calling him inexperienced. But McCain’s choice of Palin, who seemed to have the foreign policy knowledge of a bowling alley waitress, made these attacks sound silly. Worse, Palin’s vapidity, inexperience and hard-right social views drove many moderates and conservatives into neutrality or the Obama camp. Some of my Republican friends hope she can forge a different public image. They believe that if she were to write a book on foreign policy or get linked to a think tank, all would be forgotten. That’s not how media politics or public image works. It’s like hoping Bill Clinton will become a spokesman for marital fidelity or George W. Bush for eloquence. And while Americans have had presidents with short résumés, some fringe political beliefs or questionable intellects, the potent combination makes Palin unelectable. If Democrats really want to help their chances for 2012 and even 2016, they should quietly donate money to Palin’s political action committee. By contrast, Republicans should hope that Palin quickly learns a lesson from the post-1988 Jackson. Few Democrats worked as hard or as effectively to build up Democratic registration and unity, laying the groundwork for every subsequent victory. Palin could easily step into that role. So Palin has a positive future in the Republican Party if she wants it. But running for the top of the ticket of her party’s presidential nomination in 2012, she’s the Democrats’ dream. They win if she loses, and win bigger if she wins. Jeremy D. Mayer is the author of “American Media Politics in Transition” (McGraw Hill, 2007). He is an associate professor and director of the master’s program in public policy at George Mason University in Arlington, Va.